Buckwheat is very high in magnesium (by volume). One cup of it is said to contain 98% of a person's daily magnesium needs. Although the name implies it, buckwheat isn't a type of wheat, not even a grain. It is gluten-free and belongs to the rhubarb family. It is a pseudo grain. Buckwheat is rich in complex carbohydrates and is a very good source of plant protein, the protein being readily available (giving a biological value above 90%). This is explained by the high concentration of all essential amino acids. It is also rich in iron, zinc and selenium. Buckwheat is one of the most important foods in Russia and Poland. They simply cook the roasted kernels, use it in soups or eat it like rice. Buckwheat flour is very well suited to waffles or pancakes, and can also be used in cakes and biscuits. To make delicious pancakes just add a beaten egg and soy milk to your wholegrain buckwheat flour and a pinch of salt. Cook gently until golden and serve with agave syrup and fruit! For waffles mix three parts buckwheat flour with one part ground seeds. Add a little salt and enough water to make a good pouring consistency. Cook each waffle for around seven minutes. Delicious savoury or sweet, hot from the waffle iron. A great breakfast food. (You can pre-mix the batter the night before if desired.) An all-purpose gluten-free flour substitute can be made simply by mixing one part buckwheat flour with one part brown rice flour. 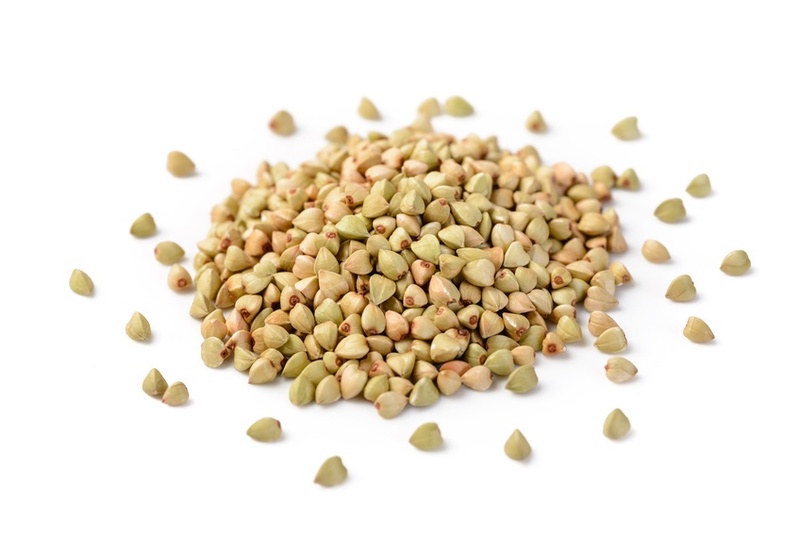 Buckwheat is gluten-free and has a strong grainy flavour.